•	All abstracts must be submitted by no later than February 8th 2019, at midnight (Indian Standard Time). •	We do not anticipate an extension beyond that date and strongly encourage you to submit your abstracts well before the deadline! •	Abstracts will be reviewed by a committee of interdisciplinary scholars in the order they are received. Based on the academic rigour, relevance to the conference theme, and innovativeness of the content, abstracts will be selected for the limited spots available for the presentation in the conference. •	To facilitate early registration and travel planning, the decision notifications regarding acceptance of abstracts to authors will be sent by February 15th, 2019. 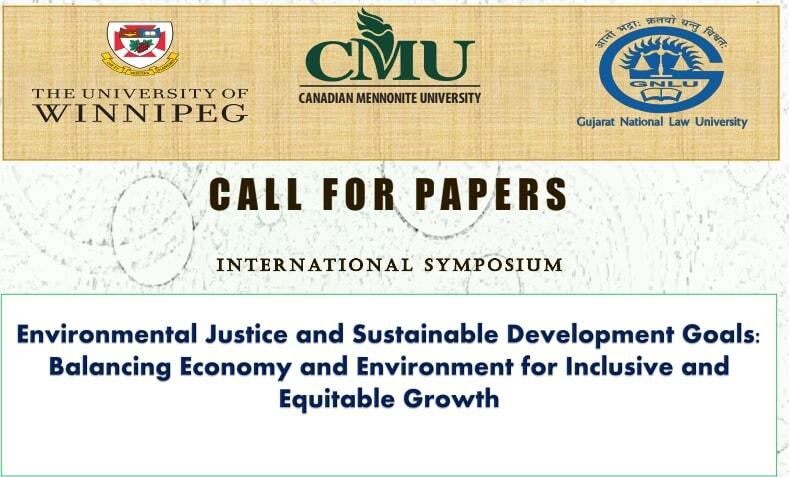 •	Abstracts must be submitted electronically by email to environmentaljustice@gnlu.ac.in. •	Authors of accepted abstracts are invited to submit, by March 8th 2019, a full paper (maximum 5,000 words) that will be included in the conference materials. •	A selection of these papers will be considered for inclusion in a peer-reviewed edited volume and a special issue of the GNLU Journal of Law Development and Politics. Last date for submitting abstracts: 8th February 2019.